There are watches you see that have an immediate impact, but then the feeling fades. You see the same watch some years later and you can remember thinking it was amazing, but sometimes the desire to own it is gone. 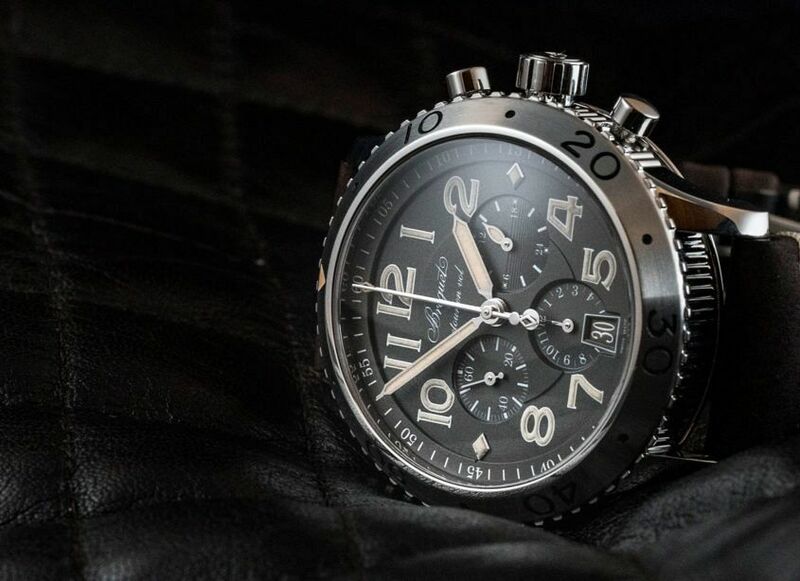 The opposite happened when I spotted Jared’s Breguet Type XXI 3817, which was released at Baselworld last year. 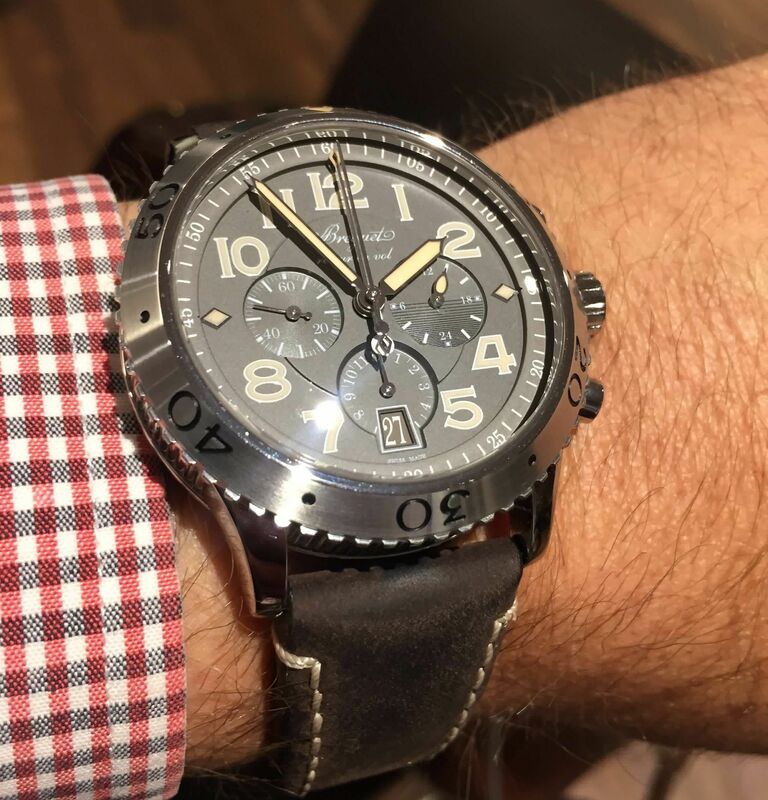 It remains one of the finest pilot’s chronographs available, and one of the best value in terms of materials, quality and finishing with pricing at $17,800. And that’s without mentioning its looks. My mancrush on this perfectly chiselled piece is more intense than ever. 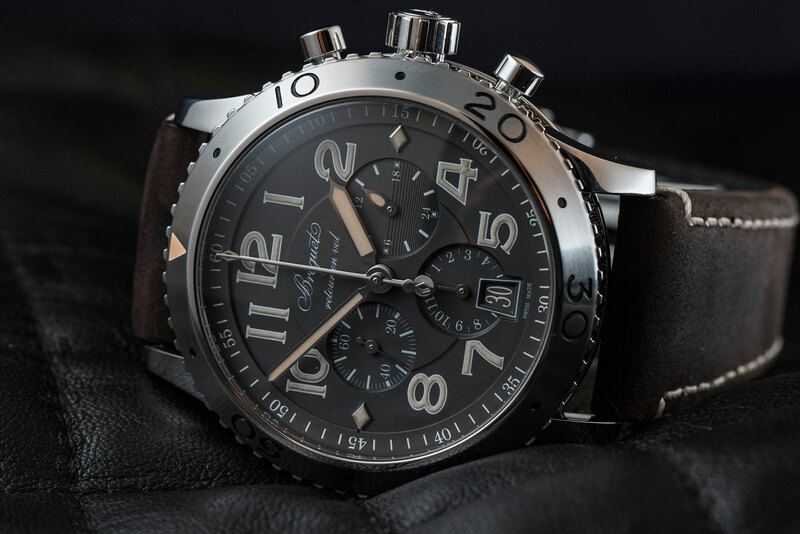 Time has only made its combination of rugged machismo and fine guilloched detail stand out even more off the wrist. Below my misty-eyed iPhone shots, you can find a much better quality selection we took last year. Thanks to Jared for letting me fawn all over it and try it on, yet again. 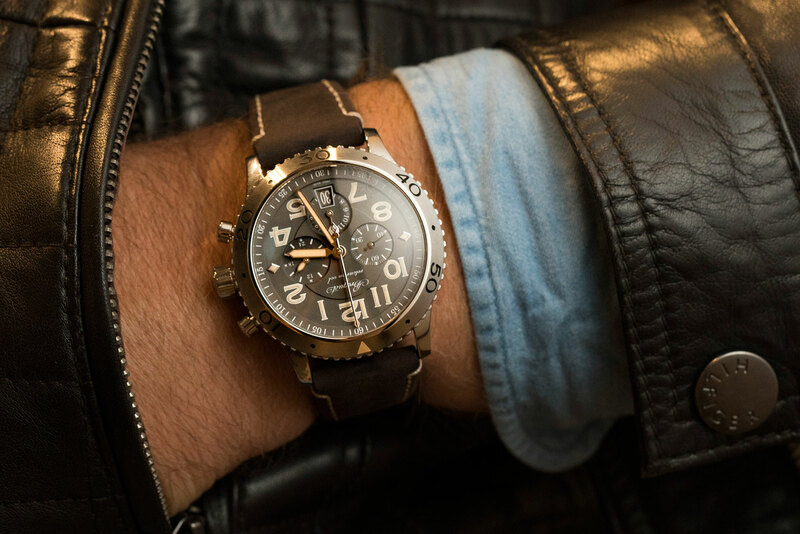 With my style I am more of a sporty person and I like to have a watch I can wear every day with every outfit. I also really like the vintage style of the strap. 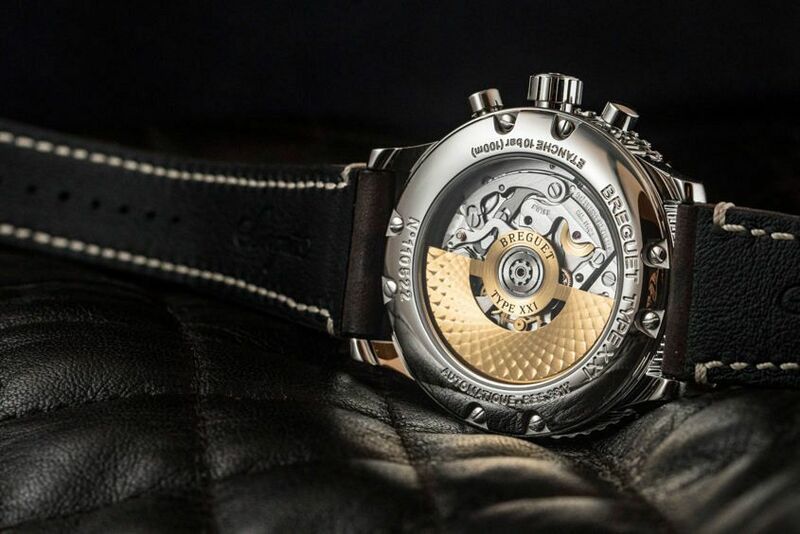 At the same time it keeps all the Breguet touches, like the guilloche on the case and the totally in-house movement, with lots of decoration of the movement. 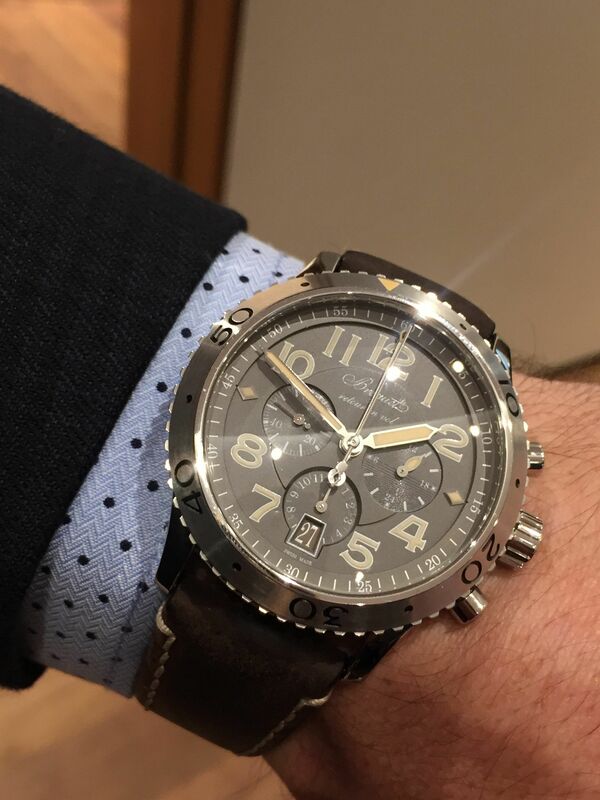 For an entry price for Breguet it’s a great watch to have as a first step in the brand. Is it versatile in terms of what you can wear it with? With a suit I think it looks great, but I usually only wear a shirt or on the weekend I wear a t-shirt so it perfectly fits everything. It’s a heavy watch, but I like to feel what I have on the wrist.